"Don’t Speak Good. Speak Well! The Nosebleed Edition"
A Guide to Speaking English for Filipinos. 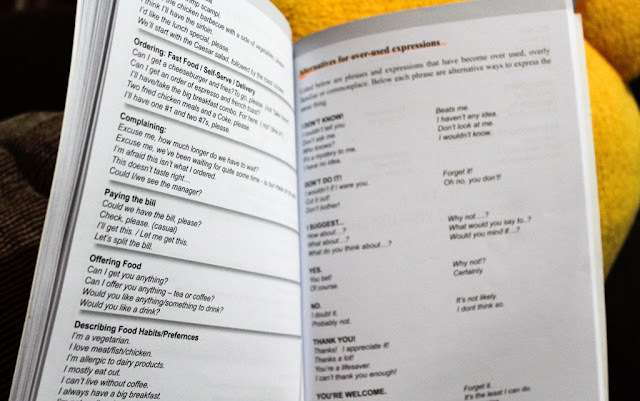 This 115 page book published by American English Skills Development Center, Inc. is a guide to speaking English for Filipinos. 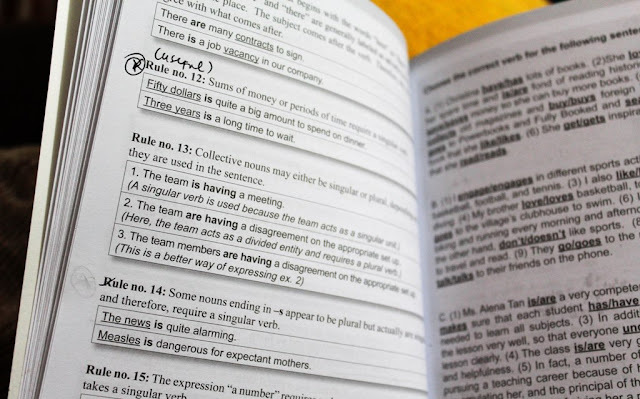 It's written to hone our English skills to keep up with the demands of fluent conversations at work and in daily life. 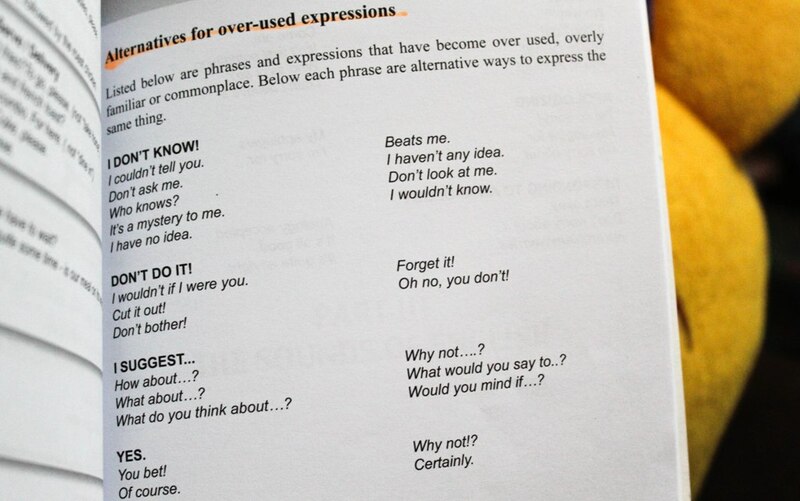 This book is intended for people who have a love-hate relationship with English. 1. 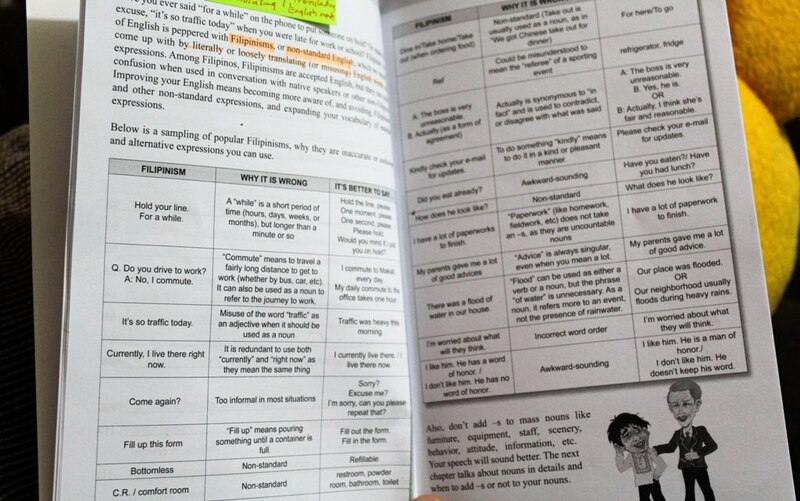 Filipinos (and other non-native English speakers) who wish to improve their spoken English fluency. 2. ESL tutors/ English teachers who wish to improve their students' learning by providing easy to learn grammar rules explanations and pronunciation guide. 3. Those who are required to use business English in their jobs. 4. Those who feel nervous/ awkward/ inadequate when they speak in English. 5. High school and college students who find themselves unsure of how to pronounce a word. 6. Anyone who finds himself/ herself stuck in an English conversation. 1. Those who don't feel the need to upgrade their English speaking skill. 2. 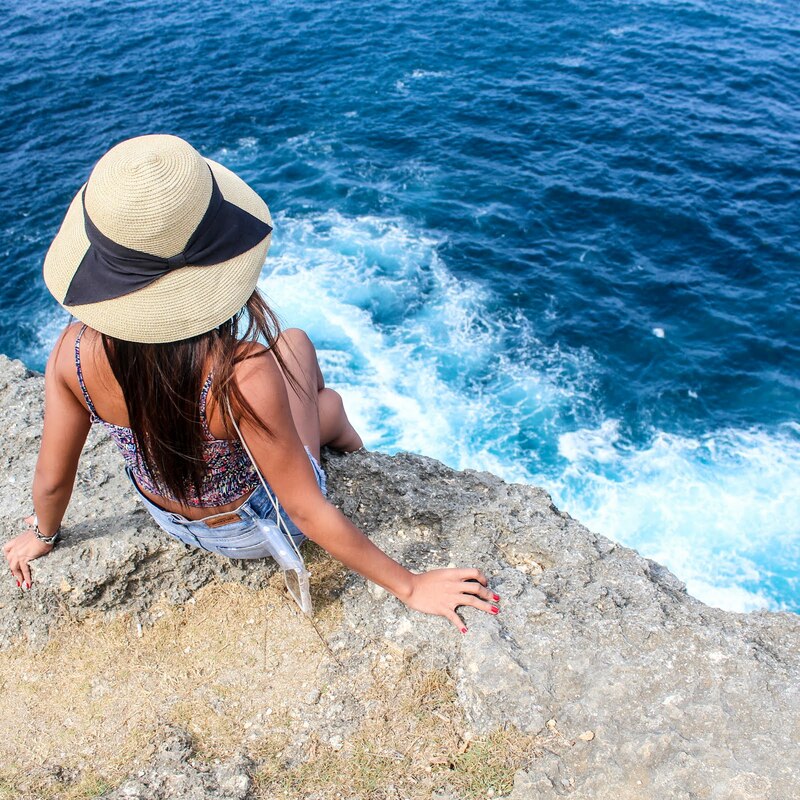 Those who don't want to take on the challenge of speaking English better. With 28 topics, accompanying audio files, tables and illustrations, THIS BOOK is promising. 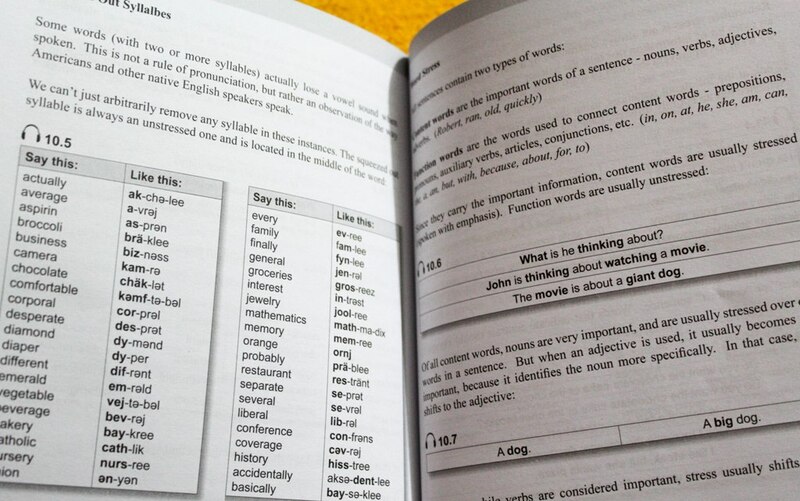 The authors did a great job of making the grammar explanations simple and relevant. The first part of the book tackled the 8 parts of speech and grammar rules 'focusing on the most common issues Filipinos have' - prepositions, articles, verb tenses, etc..
After learning the principles, readers can practice with end-chapter exercises. The answer keys to these exercises are found at the final pages. The second part of the book provides practical phrases, expressions and sentences that readers can use in different situations - from ordering food to complaining a service to communicating with a colleague. This part also touches on the strategies for starting and keeping a conversation especially with a foreigner. My favorite part in this chapter is the list of better expressions for the overused ones. The pronunciation guide in the third part of this book will not give you a headache. It is easy to understand and at the same time, easy to remember. There are additional resources provided by this book. We can log on to the e-Learning site with the provided product key to gain access to the accompanying audio files I mentioned earlier. Because of this, we can practice pronunciation and accent hassle-free. To learn more about the e-Learning site, you can check American English PH Facebook Page. This book can be one of my chief treasures. At an introductory price of PHP 590, I could get plenty of material for English practice and learning. I could easily finish reading this book because of its engaging style, readability and useful content. See for yourself! You can grab a copy of "Don’t Speak Good. Speak Well! 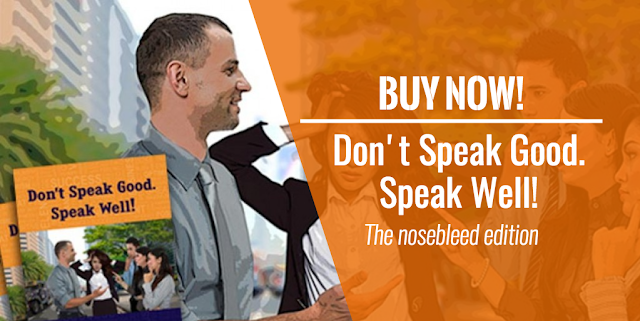 The Nosebleed Edition" now and say goodbye to your 'nose-bleeding moments'... It's about time you stopped speaking English good and started speaking English well! If you have comments/ suggestions/ questions, please feel free to leave them down the comment section below. Thank you!